I am back this morning with a new free pattern for you. 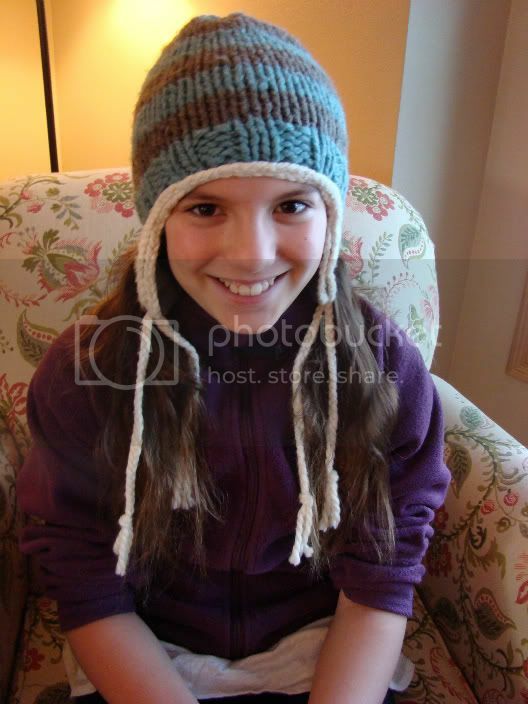 My daughter, TC (The Collector), designed this hat from scratch and I knit it up for her. She picked every detail and color. TC simply loves her new hat and wears it night and day, indoors and outdoors. It is pretty cute to see someone enjoy a handknit like this. 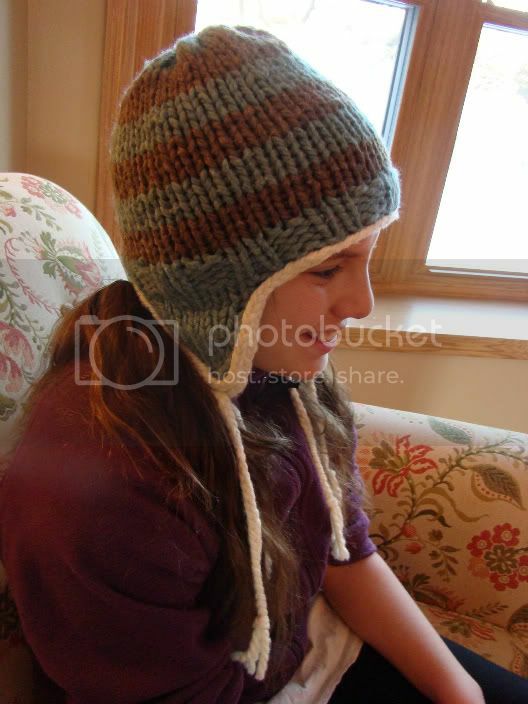 Hopefully you will enjoy your version of TC’s Cozy Hat, too! Note: TC’s head measures 21 ½-inches. The hat will fit would fit a 19-21 ½-inch head circumference. The hat has a snug fit. The hat is knit and then the earflaps are picked up and knit down from the cast on edge. The trim is braided separately and sewn on. The finished effect is wonderful. 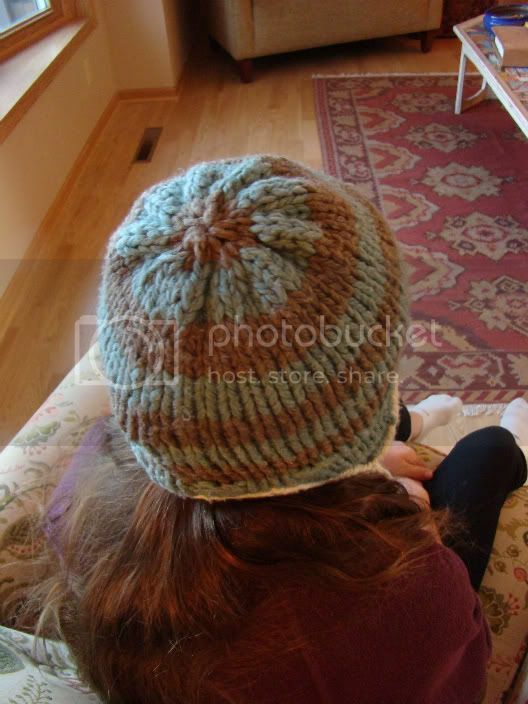 Here is the Ravelry page for TC’s Cozy Hat! 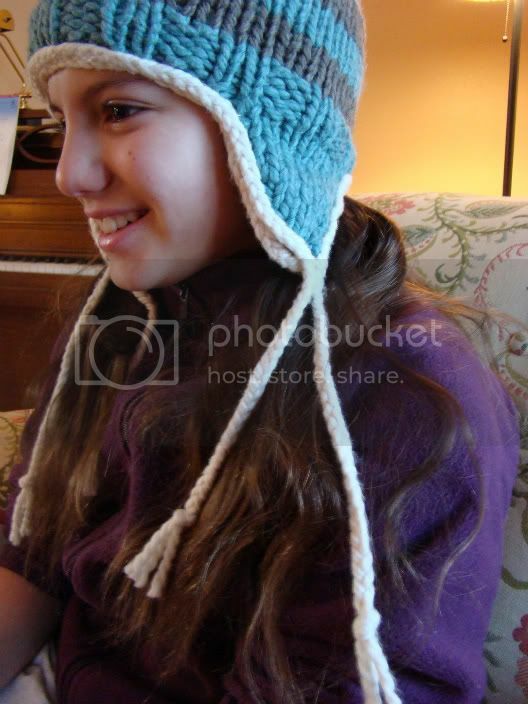 Click here to download the free pattern for TC’s Cozy Hat! 8 Fun Facts & 3 Free Patterns: The Colorwork Collection!